Opera Omaha (http://www.operaomaha.org/operas) presented Bartok's "Bluebeard's Castle" at the Orpheum Theater in Omaha. Congratulations to the company for this bold repertory selection and to the Omaha community for supporting it. Nothing so daring would ever find its way to AMC's home town opera company that presents mostly programs of well-worn operatic love stories. 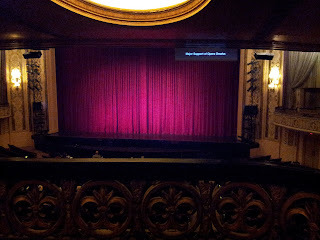 Program notes from Omaha are at: http://www.operaomaha.org/operas/bluebeards-castle. The Omaha production featured Samuel Ramey in the title role, and Kara Shay Thomson as Judith, Bluebeard's new wife. The Omaha Symphony, conducted by Hal France, provided the orchestral support. Ramey has a large bass baritone voice that at times has too broad a vibrato. 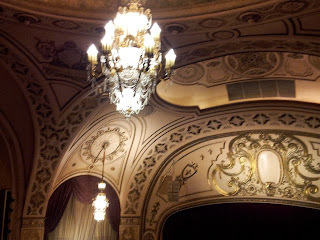 Thomson's soprano voice was warm and well controlled. Since these two singers have to carry the entire hour-long opera without break, they are to be commended for their stamina. Bartok's score underscores (!) the action but really does not have those memorable passages that mark his "Miraculous Mandarin" for example. But it is never less than outstanding. The Bluebeard story seems to AMC as a cross between "Dexter" and the "Walking Dead." Bluebeard and his bride come home to his castle without windows. It is dark and dank. Judith has heard rumors about the count, especially relating to his first three wives. But nevertheless Judith wants to make a go of it- or at least get her hands one some of her husbands rumored loot. She sees seven locked doors in the castle and her curiosity get the best of her and she insists on seeing what is behind each. The count is not wild about the idea, but slowly gives in to her nagging. Each door is finally opened and everything seems to be tinged blood red color- even the gold. Guess what the red stuff is? The last door reveals Bluebeard's previous three wives in sort of cold storage and somehow he manages to have hapless Judith join them. This has always been a difficult opera to stage, since there is a scene behind every door that cannot easily be visible to the audience. Scenic designer Julia Noulin-Merat solves the problem through non-literal depictions of the scene behind each door, while Video Designer S. Katy Tucker helps fill the the blanks. This was all accomplished by using an elevated walkway that surrounded the orchestra which seated on stage in the middle of everything. The three walls of the stage were made up of floor to ceiling doors hung sort of randomly. This staging was quite effective. The only thing that AMC would have preferred was a bit more blood effects. At one point the walls of the castle bled. This was effective, except the video projections were upside down, making the blood run up rather than down. Some blood appliances cold also have been used. AMC believes that these few additions would have made Judith's determination to learn more seem even more strange and out-of-touch. 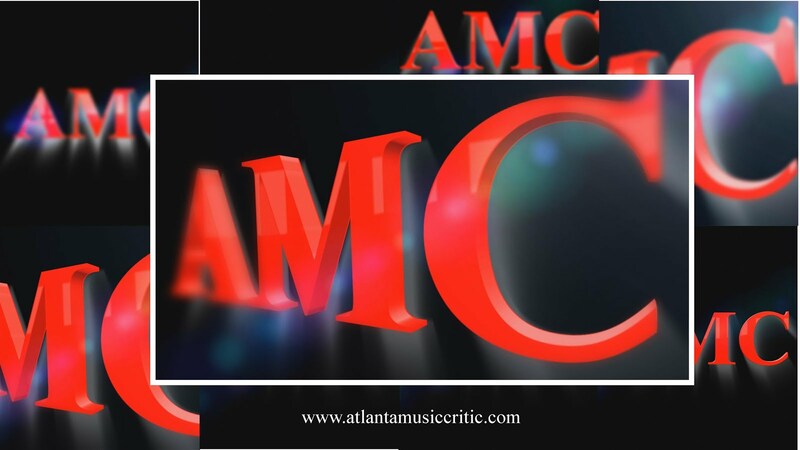 Notwithstanding these small criticisms, AMC thought the staging was outstanding. The Omaha Symphony sounded quite good, given where it was seated. 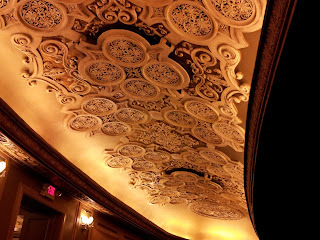 The Orpheum Theater is one of those grand Rapp and Rapp-designed vaudeville/movie houses that were built in the early decades of the twentieth century. 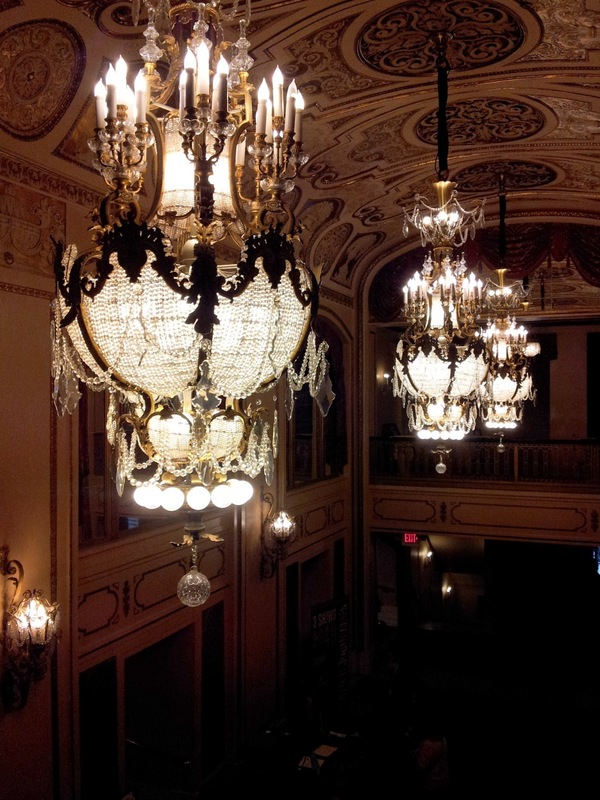 Others can be seen in Pittsburgh (Heinz Hall) and St. Louis (Powell Theater) both of which are have been made into performing arts centers. 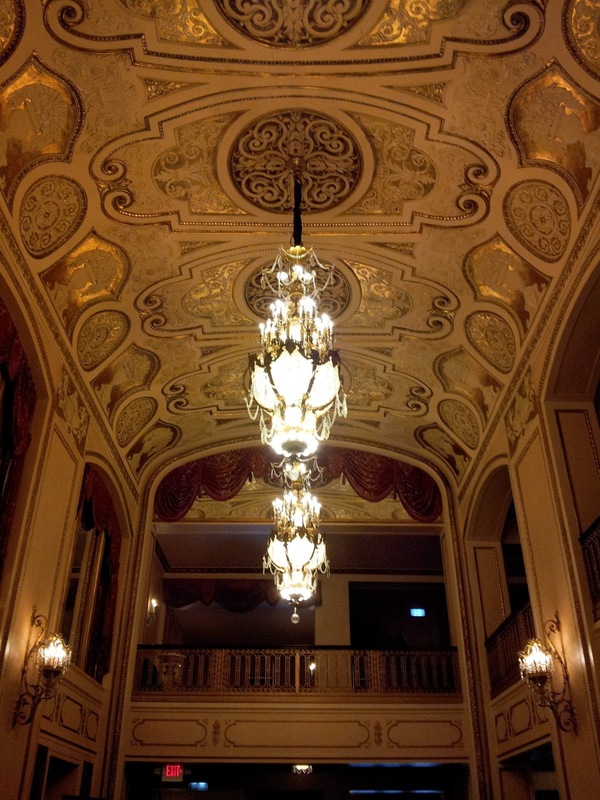 The Omaha theater has been restored and preserved quite well. It used to be the home of the Omaha Symphony, which now calls the Holland Center its domicile. The Omaha Orpheum looks a bit tired. It is a massive theater with 2600 seats, which makes it a formidable facility to maintain. The chandeliers are probably original, but not exactly beautiful. The lighting everywhere seems under-powered so that there appears to be a grayish cast to everything. The acoustics are a bit tubby and hollow. But it still remains a great place to take in an opera. Congratulations to all at Opera Omaha. AMC loved it.